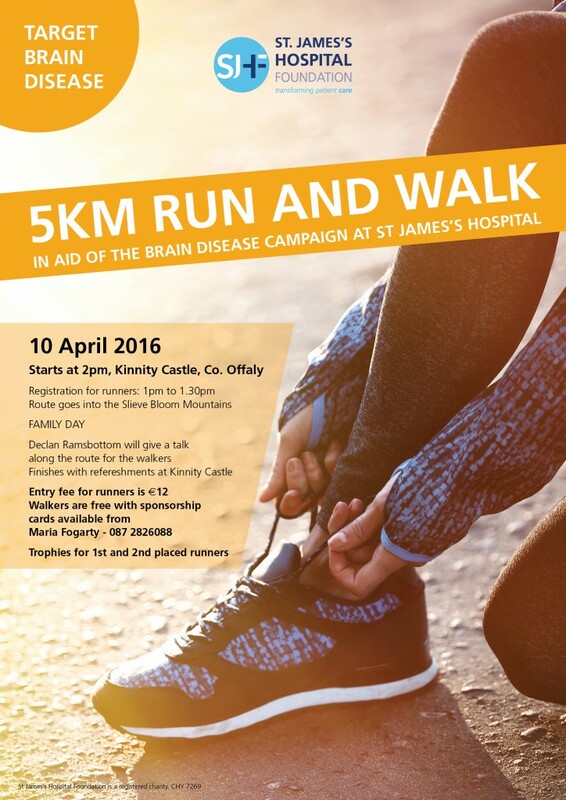 This 5km run/walk on April 10th 2016 is in aid of the Brain Disease Campaign at St James’s Hospital and starts at 2pm from Kinnity Castle, Co. Offaly. Get there early (1pm – 1:30pm) to register and if you are walking, do stop by for the talk from Declan Ramsbottom along the route. Good luck to all those runners taking part! If you are unable to make this brilliant event, but want to support the Target Brain Disease Campaign, please click here to donate now.